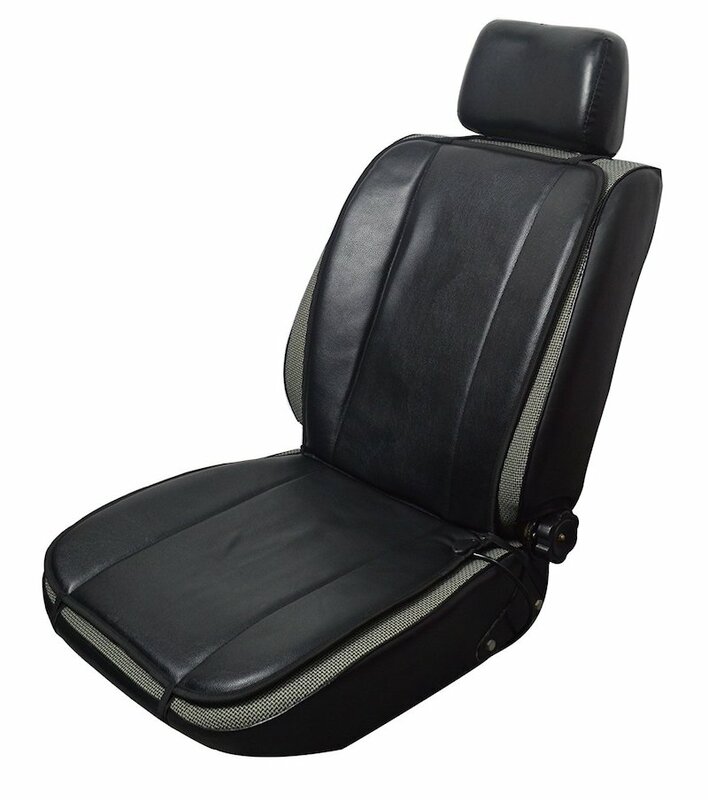 If you own or lease a vehicle without heated seats, then this is the heated cushion for you. 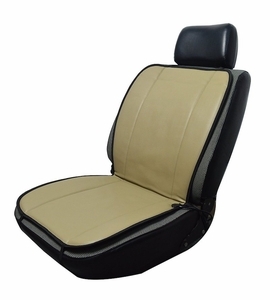 This Black/Beige Reversible 12 volt heated seat cushion is made of synthetic leather. The heated cushion plugs into your lighter outlet or 12v power port and comes with a high/low/off switch for added comfort. This is a well made heavy duty multi-season heated cushion that is perfect for cold weather or winter time driving. Cushion uses 3.7 Amps on High and 2.9 Amps on Low and is 38 inches long x 18 inches wide with a 53 inch power cord. 1 Year Limited Warranty.